I’ve watched you, Neo. You do not use a computer like a tool. You use it like it was part of yourself. Digital computers, these universal machines, are everywhere; virtually ubiquitous, they surround us, and they do so all the time. They are even inside our bodies. They have become so familiar and so deeply connected to us that we no longer seem to be aware of their presence (apart from moments of interruption, dysfunction—or, in short, events). Without a doubt, computers have become crucial actants in determining our situation. But even when we pay conscious attention to them, we necessarily overlook the procedural (and temporal) operations most central to computation, as these take place at speeds we cannot cognitively capture. As an aesthetic technique or special effect that allows us to witness an impossibly fast-moving (virtual) camera revolving around human actors and nonhuman objects (such as a bullet) as they move in extreme slow-motion (or as they are frozen in the form of still images whose perspective can be manipulated), bullet time gained notoriety through its use in the first installment of the Wachowskis’ popular Matrix film trilogy. On the basis of its spectacular and innovative appearance, the effect itself was replicated and disseminated across a variety of media—including the videogame tie-ins and transmedial universe of The Matrix, as well as diegetically unrelated games and game series like Max Payne, among others. 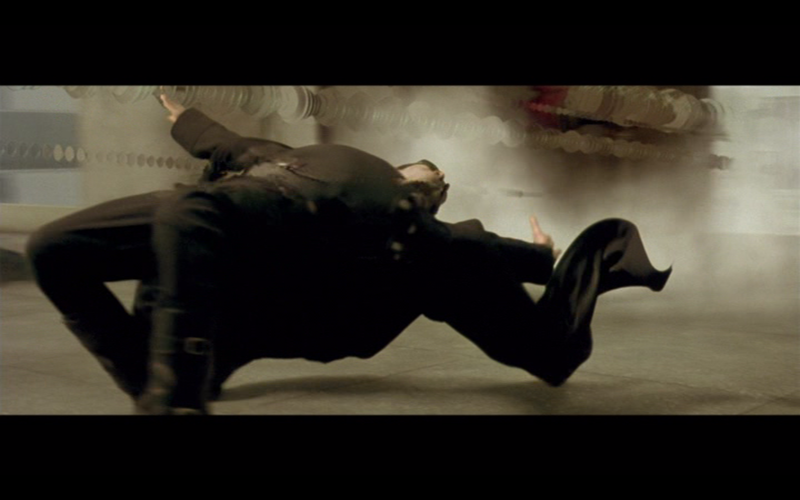 Yet, despite the cultural hype about its novelty at the time, The Matrix’s use of bullet time was not without conceptual and technical antecedents, in terms both of media-technical procedures that anticipated the effect’s contemporary execution and media-aesthetic forms that laid the groundwork for its reception. The effect draws upon a scattered history of similar or related aesthetic effects and techniques, from the chronophotography of Eadweard Muybridge and Étienne-Jules Marey to Paul Debevec’s short film The Campanile Movie (1997), which visual effects designer John Gaeta himself cited as a central reference for the conception of bullet time in The Matrix (qtd. in Silberman 3). Moreover, bullet time in The Matrix also recalls the aesthetics of slow-motion violence, “the ballet of the bullet,” in works ranging from Peckinpah’s The Wild Bunch (1969) to the films of John Woo (e.g. A Better Tomorrow  or Hard Boiled ). Despite these many forerunners, however, the film used the effect to underscore a phenomenon that seemed to be genuinely new, and that a number of popular movies (e.g. Terminator 2: Judgment Day , Jurassic Park , Forrest Gump ) had been gesturing towards for several years: namely, that by virtue of digital technologies, cinema had finally arrived at a point in its history where virtually anything imaginable could be depicted in a photorealistic way (see Sudmann). Thus, it was no longer possible to optically distinguish computer-generated (or digitally processed) images from traditional filmic images. According to Lev Manovich, the process of generating photorealistic scenes entirely on a computer, where each frame can be modified individually by the use of 3D software tools, not only marks a fundamental break with cinema’s indexical quality, but can also be considered a return to “pre-cinematic practices of the nineteenth century, when images were hand-painted and hand-animated” (295). The use of bullet time in The Matrix illustrates and accentuates the fact that cinema in the digital age is no longer an indexical media technology. Particularly, bullet time draws attention to itself not despite, but paradoxically because of the aforementioned optical indistinguishability, as a digital effect (even if the effect is not exclusively produced by digital technology). If we are no longer able to distinguish digital from traditional images, this could also mean that we may simply overlook those images that are digitally produced. In the case of The Matrix, however, an audience interested in the media-technological conditions of film aesthetics realizes that the concrete and technically sophisticated form of bullet-time images is only possible by means of digital technology. Indeed, the audience expressed a strong interest in understanding the exact technical background of the effect; in some cases, this interest even gave rise to attempts to reproduce the effect, albeit with more modest means. Whereas the narrative techniques or visual spectacles of popular media in the 20th century always evoked an interest in their (partly hidden) operationality, i.e. an interest in how they worked and were produced, in the case of bullet time we are confronted with an effect of a new sort: one in which the operational dimension of its visual spectacle is, from the very start, identifiable as the specific operationality of the digital. 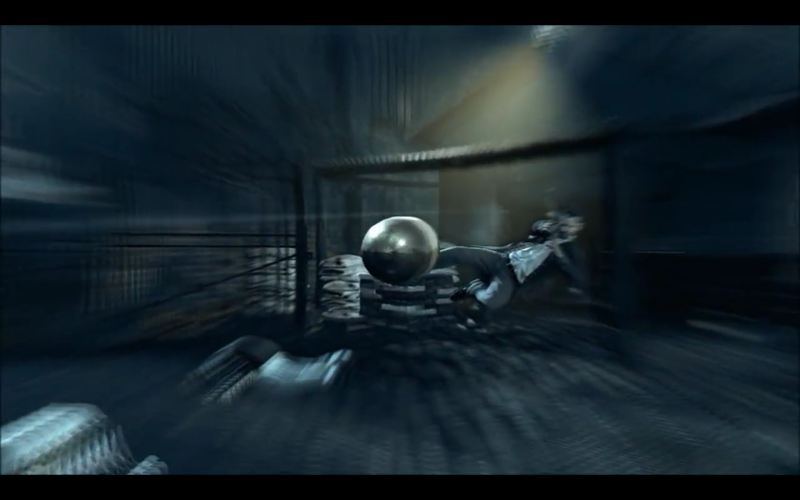 As a result, the bullet time effect was more than simply a powerful demonstration of what could be achieved by means of computer-generated imagery in cinema. It was a form that corresponded seamlessly to the movie’s thematic and philosophical focus: the post-apocalyptic vision of the world as a digital illusion. The world in question is the world that gives the movie its title, the Matrix, a computer simulation built by A.I. machines to keep enslaved humans under control and to make them believe they are still living on earth in the year 1999. The other world is the “the desert of the real,” as the character Morpheus calls it: outside the simulation of the Matrix, it is what remains of the planet long after humans lost their war, sometime in the 21st century, against the intelligent machines they created. The Matrix is also one of the first blockbuster movies following the advent of the digital to explicitly address the question of how it feels to live in a digital world. When Neo meets Morpheus for the first time, the latter says to him: “It’s that feeling you have had all your life. — That feeling that something was wrong with the world. — You don’t know what it is but it’s there, like a splinter in your mind, driving you mad, driving you to me.” It is, accordingly, nothing more than a “feeling” that motivates Neo to follow the white rabbit in the first place, to take the red pill instead of the blue one in order to “to stay in Wonderland,” following further the path that began with his first questioning of the world in which he lived. Obviously, The Matrix draws on anxieties that are deeply entangled with (historical) discourses of cyberspace and artificial intelligence from the very beginning and that seem to accompany almost every “Promethean step” (Hansen 174): anxieties about the self-inflicted loss of natural life and the creation of a technology that is no longer controllable, that takes on a life of its own and turns against humankind. And yet, even though these discourses are deserving of criticism, especially with regard to their redundancy and omnipresence, it is also important, as Mark Hansen has pointed out, not to trivialize them or simply regard them as misguided, but to take those anxieties seriously as a “constitutive dimension of the human experience of cultural change” (174). However, The Matrix does not invite us to occupy the position that Neo comes to take up in the desert of the real—a position from which the problematic inauthenticity of the digital world becomes tangible to him. Rather, both worlds depicted in the film evoke a kind of strangeness, as if one were looking at them from an external or even meta-perspective. Responsible, to a large extent, for this specific gaze is the film’s peculiar placelessness and timelessness, which underscores its overall postmodern, but also post-cinematic form (see Shaviro). Actions, characters, and things seem to exist outside a substantial temporal-spatial and systemic logic of situatedness, especially in the first third of the film. Here, The Matrix quickly jumps from one scene to the next, without specifying the spatial connections among different locations. It seems as though the movie wants to confuse viewers, to make them unable to determine whether certain plot events are real or just a dream. More than once, we see Neo waking up confused in his bed. It is not until Neo finally joins the rebels on board the Nebuchadnezzar that the narrative really starts to provide temporal and spatial orientation. From this moment on, the movie invests more effort in explaining what the Matrix is, how it came into being, and so on. Accordingly, it is henceforth always transparent when exactly the rebels are inside the Matrix and when they are not (given that there is also a training program similar to the Matrix—a point to which I return below). Furthermore, plot time progresses linearly; there are no flashbacks or flashforwards. Most importantly in our context is the fact that the bullet time effect is narratively motivated. The film shows us in great detail how Neo acquires the superpowers that allow him to manipulate time and space. Thus, in terms of spatiality and temporality, The Matrix does not totally suspend the basic principles of classical Hollywood cinema such as linearity, transparency, or causality (Bordwell, Thompson, and Staiger). And yet, despite all these efforts at narrative transparency, we are witnessing the unfolding of a story world whose diegetic elements seem to be unrelated, transposable, and unstable in an almost oppressive way. Where exactly is the place called Zion? We hear about it, but it is not (yet) shown to us. Nor do we learn, for instance, why the rebels choose a particular location as an entry point into the Matrix. For the most part, distances and geographical relations do not play any particular role. The world inside the Matrix is first and foremost an interchangeable setting. The same applies to the world outside the simulation program. It is a dark and uninhabitable space, hostile to life, without meaningful locations (see Figure 1). And all this makes perfect sense: there is simply no room for spatial integrity, neither in the desert of the real nor inside the simulation program called the Matrix. Thus, just as The Matrix invests in the performance of a world where everything can be simulated, the film suspends—or sublates, in the sense of a Hegelian Aufhebung—the logic of narrative coherence and representational integrity so characteristic of classical Hollywood cinema—and this suspension affects the narrative world as a whole. This is especially obvious in the famous sequence where Morpheus shows Neo the virtual workspace that operates similar to the Matrix itself: “This . . . is the Construct. It’s our loading program. We can load anything, from clothing . . . to equipment . . . weapons . . . training simulations . . . anything we need.” And because seeing is believing, the function of the “Construct” is also visually demonstrated: at one moment Neo is standing next to Morpheus inside the empty white space of the Construct (see Figure 2), and at the very next moment he finds himself (together with Morpheus) in the desert of the real. Given that Neo and the other rebels are able to create any environment or identity they want (without substantially changing the Matrix itself), there is no stable connection between characters and place. This fits perfectly into the narrative of flexible and open identities, always present (if not dominant) in the discourses on cyberspace, especially with regard to popular media culture. Just recall how often the Internet is (still) imagined as a virtual space, where people can adopt any identity they want. But what is crucial here is that The Matrix is a movie whose narration serves to help us perceive what exists outside the logic of narrative order, i.e. the relative autonomy and modular functionality of aesthetic forms—like bullet time. What The Matrix exposes by way of this modular functionality is nothing less than one of the key features of our contemporary digital culture—that is, the “logic of the database,” as Manovich has called it, “from which time and again, new selections are made, new narratives can be constructed, in endless series” (Pisters 109). Of course, neither database logic nor modular functionality is an exclusive characteristic of our recent digital culture. Yet in our contemporary age the logic of the database seems to have become the dominant form that permeates all levels of culture, from its production to its different channels of distribution to the very level of consumption. Bullet time is therefore not simply an innovative or spectacular effect but one that exposes itself as a paradigmatic form of a digital, post-cinematic media regime, a regime that also changes the very conditions of how we engage with those forms in terms of our affective experience (Shaviro). In The Matrix, the specific mediation of temporality qua bullet time articulates this specifically post-cinematic sensibility. 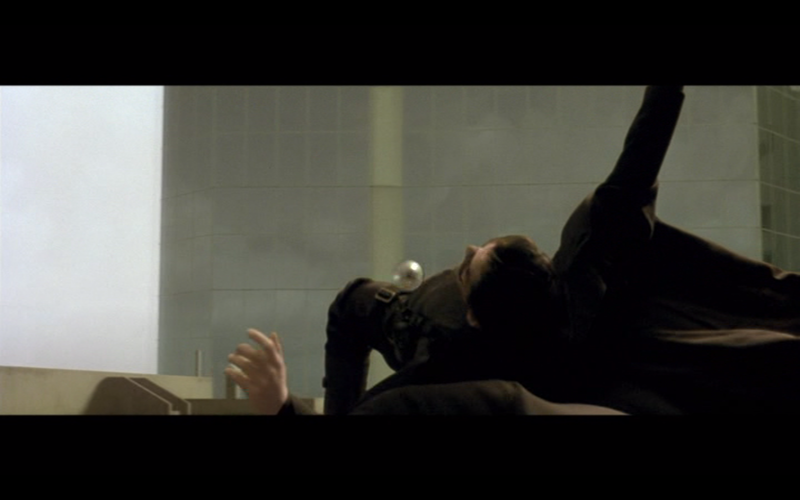 One of the most iconic bullet time sequences of the film takes place when Neo and another character try to rescue Morpheus, who is held captive by agents inside a highly guarded military building. 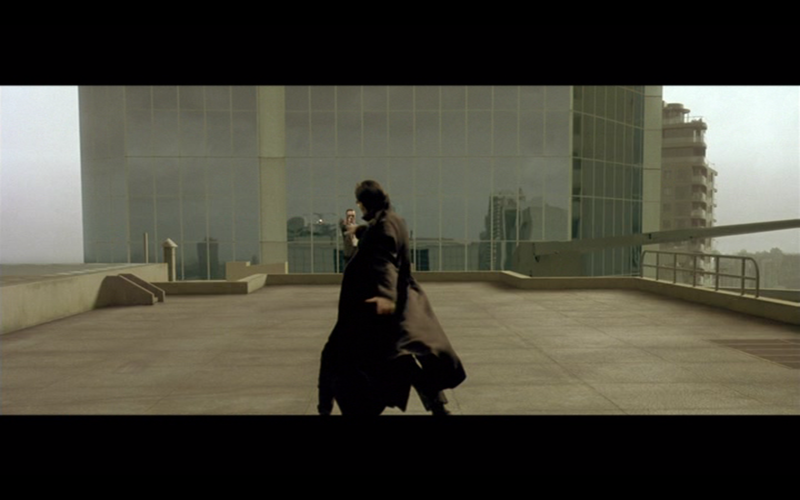 On the building’s rooftop helipad, Agent Brown aims his weapon at Neo. First, the camera focuses directly on the weapon, framed in close-up, until the moment it is fired. In the next image, the perspective changes to a medium long shot that shows Neo (from behind) in the foreground and Agent Brown in the background. In extreme slow motion, we see the trajectory of the bullet flying towards Neo, who, since he is also moving in slow motion, has just enough time to dodge the first bullet (see Figure 3, below). Now the camera starts to circle around Neo, revolving on the vertical axis in order to get a better view of Neo’s graceful movements as he evades the next projectiles. The movement of the bullets is slowed to such an extent that we can easily follow their trajectory—slowed so much, in fact, that we can see the vibrations they cause in the air (see Figure 4, above). At the end of the camera’s circular movement, one bullet flies directly into the camera (see Figure 5, above), hence towards us, while two others graze Neo’s body. All in all, the whole bullet time sequence takes less than twenty seconds of screen time. The perceived duration might be shorter, though, given how cognitively challenging and overwhelming the screen events are. But what exactly have we seen? We observe three objects, simultaneously moving, but at different speeds: The virtual camera has its own speed, while the slow-motion speed of Neo’s body is also different from the speed of the much faster bullets. Hawk further claims that bullet time marks an outstanding moment in film history, because up to that point audiences had experienced only “static points” but no real motion: for example, an image that depicts a gun being fired is directly followed by another image showing the impact of the bullet. “[Now] with bullet time, viewers see the trajectory, the movement of the bullet, slowed down, intensified, so they can get a sense of that movement, which is a primary form of reality beyond static points of visual perception” (Hawk 118). Approached from a slightly different perspective and expressed in different terms, bullet time visualizes the inexpressible “interval” that gives rise, according to Deleuze (in Cinema 2: The Time-Image), to the “time-image” in postwar cinema (see also Tofts), the very “time zone” between action and perception (or action and reaction). But how can we assess the specifically digital dimension of this time-image, without falling prey to the problematic equation of the virtual with the digital, as critiqued by Massumi? 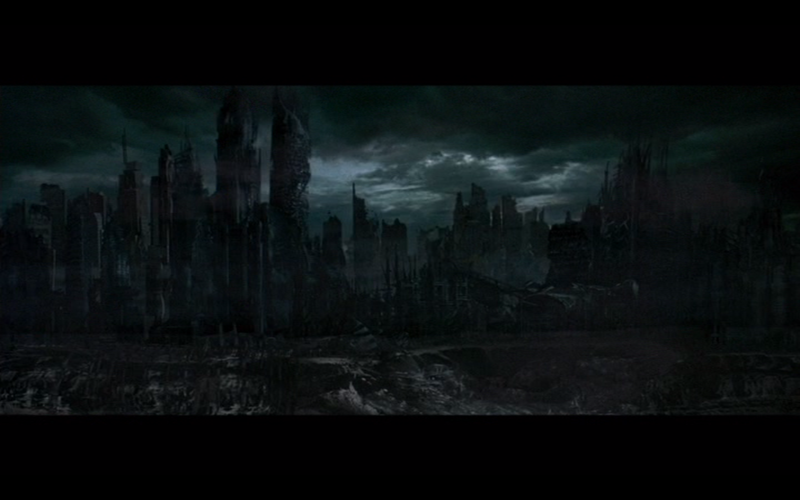 To what extent can we speak of it as a post-cinematic time-image? As I already have claimed, bullet time is a time-image appropriate to our current digital age because it is presented as an image explicitly and inseparably connected to the logic of the database. Not only does The Matrix visualize the aesthetics of the database through the use of bullet time, but it also explicitly addresses the database as bullet time’s (im)material source or basis. Neo’s actions and abilities inside the Matrix are thus not simply “his” mental projections, since the latter only come into being as long as he is materially coupled to a simulation program (either to the Matrix or the training program, the Construct). Even more important, while physically linked to the machines on the Nebudchadnezzar (see Figure 6, above), Neo (or more precisely, his brain) is also turned into a computer, transformed into a machine into which another computer can upload virtually any information that might be needed (combat abilities, for example). In other words, while connected to the Matrix, Neo is a cyborg—part human, part machine. And yet, due to his human nature and his “spiritual” status as “The Chosen One,” he can break the rules of the Matrix and successfully fight the agents. But, again, how can we theorize this special type of time-image in the digital age? Recently, Patricia Pisters has suggested the term “neuro-image” to designate images which let us experience “mental landscapes” in a direct way, while these images are at the same time closely linked to the database logic of the digital with its “endless series of new combinations, orderings and remixes” (109). 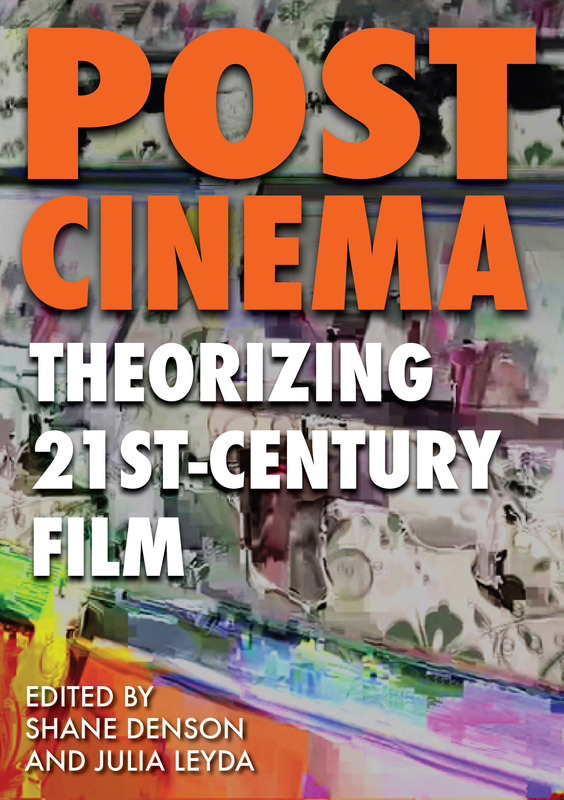 Pisters even claims that the neuro-image has to be seen as a new kind of image that is situated at the very “‘heart’ of cinema,” which has moved beyond the movement- or the time-image of classical and modernist cinema, without (fully) replacing these image regimes of the pre-digital era. In terms of its temporal dimension, the neuro-image (as well as the logic of the database in general) corresponds to, as Pisters claims, the Deleuzian concept of a third synthesis of time, that is “the repetition of the future as eternal return” (Difference 90), “the time of (endless) serial variations and remixes of pasts and presents” (Pisters 106). Prima facie, all these considerations seem to be applicable to The Matrix’s bullet time, which, to be clear, Pisters does not discuss in her essay. Indeed, thematically, bullet time is “an image from the future,” but as an aesthetic form of cinematic practice at the end of the 20th century, “[it] also indicates that the future is now” (113). The only point where I would disagree with Pisters is regarding her claim that the neuro-image tends to “unground” the temporal order of the time-image “due to the dominance of the third synthesis” (110). At least, The Matrix doesn’t seem to support this claim. On the contrary, regarding bullet time as a “neuro-image” highlights why it makes sense to think of the effect as a specific post-cinematic time-image. The aesthetic form of bullet time (as a time-image) is through and through shaped by and connected to the logic of the database, which itself expresses the disjunctive and recombinant temporality of computation. Another instance of “the repetition of the future as eternal return” is perhaps the speed with which the bullet time effect, after its popularization in the first Matrix film, spread out to different media like computer games; in this sense, its dissemination among other media can also count as one of the “signatures” of our current digital age. Once an aesthetic effect has become culturally visible, it seems to be everywhere, in all kinds of media forms, its appearances occurring simultaneously rather than successively. Hence, it is all the more important to explore how the temporality of bullet time might be shaped differently by another medium, such as the (software) medium of digital games; for as we shall see shortly, games in themselves express the temporal logic of simultaneity. Let us turn, then, to the first installment of the game series Max Payne, which was developed by Remedy Entertainment in cooperation with Take 2 Entertainment and published by Gathering. Although it was in development before the first Matrix film’s release, Max Payne became the first video game to make use of bullet time, while its game aesthetics also draw inspiration from John Woo’s films. Apart from bullet time, allusions to Hong Kong action cinema are a key feature of the game series as a whole, just as its overall cinematic look is informed by the style of neo-noir. Max Payne is a so-called third-person shooter (where the camera takes a perspective from behind the avatar) situated in contemporary New York; Max Payne is also the name of the main playable character, a broken hero with a tragic backstory. While he was still working as an NYPD detective, his wife and child were murdered by criminals high on a drug called “Valkyr.” Three years later, after being transferred to the DEA where he is investigating the Valkyr case, Max is framed for the assassination of his colleague and friend Alex in the course of an undercover operation. Henceforth, he not only has to fight against the drug mafia, but he is also hunted by the police. Payne’s words are confusing at first, but soon we understand: this dark and atmospheric sequence depicts the game’s final scene, which is situated in the present. Everything else, almost the entire game, is framed as a flashback. The first analepsis, which is also the first playable sequence, recounts the events when Payne’s family was murdered at his home. In this sequence, Max (and hence the player) is unable to prevent the criminals from killing his wife and child, but they have not yet left the building, and the avatar’s task is to take them out. The next game sequence presents events that happened only two days earlier: Max Payne is called to a train station to meet Alex. Again, he has to witness the death of a person close to him. What follows is a long revenge mission that continues up to the point when “they were all dead” (thus bringing us to the point at which Max’s narration begins—at the beginning of the game and the end of the story). Before Max Payne, flashbacks were rare in digital games. And even in the contemporary game world, they do not occur very often. It is important to note, in this regard, that flashbacks in Max Payne have a narrative function only, without any effect on the gameplay itself: none of the avatar’s actions during these flashbacks produce consequences for further gameplay. We cannot change the future of the past. 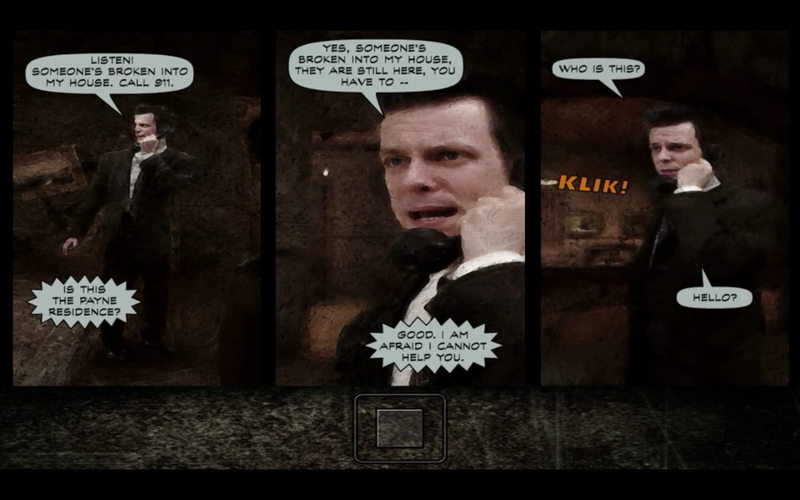 Another prominent element of Max Payne’s temporal aesthetics are graphic novel panels that narratively juxtapose the game sequences in place of animated cut scenes (see Figure 7, below). Besides this function, these panels serve to underscore the “narrative ambition” of the game as well as to contribute to the neo-noir aesthetic. What does this have to do with bullet time as a post-cinematic time-image? 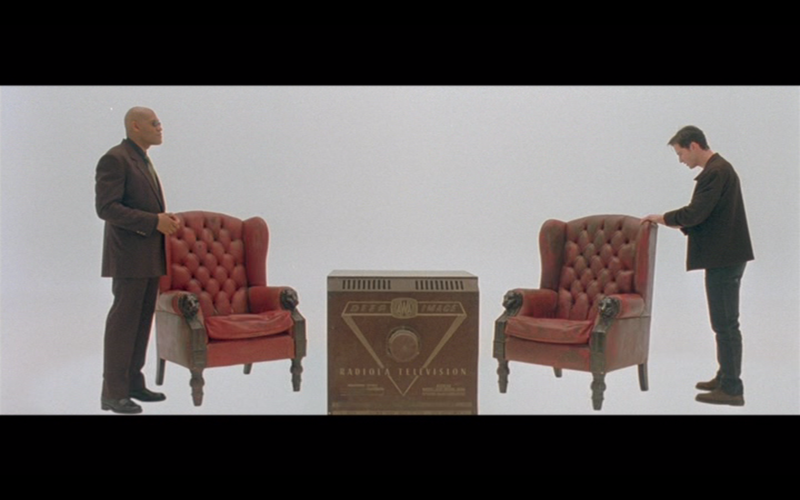 In the first part of this chapter, I argued that The Matrix’s use of bullet time corresponded to the logic of the database, specifically the disjunctive temporality of computation, which the film sought to mediate by visual means. When we turn now to the more directly computational medium of the computer game, we notice a number of important differences. In terms of visual performance, the staging of bullet time in a game like Max Payne might not be able to compete with its big-budget staging as a special effect in the Wachowskis’ movies. In games, this spectacular quality has not disappeared (indeed, the last installment of Max Payne, in particular, has established a new level of cinematic visuality), but it is now secondary to the effect’s ludic functionality: bullet time serves to help players master in-game events by reducing the speed of onscreen movements—not only one’s opponents’ but also one’s own—while the technical polling of input devices still happens in real time (i.e. the computer is still “listening” for instructions from the player, and is capable of registering them, when they are sent through the keyboard, mouse, or controller, at a speed that is a mere fraction of the temporal window of human perception). This provides players with a decisive advantage, particularly in situations where they are significantly outnumbered, or when the specific game challenge demands superhuman precision. And, of course, one outstanding function of bullet time in games is that it helps players dodge incoming bullets while still being able to fire at their enemies (in Max Payne this maneuver is called “shootdodging”, see Figure 8). Granted, slow-motion game-play has frequently been an important aesthetic/ludic feature since the early days of commercial video games, not least as a distinct function of so-called cheats. Yet the Max Payne series took the game aesthetics of slow-motion to a completely new level, especially in terms of visual spectacle. Figure 8 – Max Payne: Shootdodging. A significant difference from the first Matrix movie is that the bullet time in Max Payne is in no way narratively motivated within the game story. There is no explanation for why Max possesses this special skill—and it is significant, indeed, that bullet time becomes a skill (rather than merely an effect) when it is subject to the player’s performance, which is to say when bullet time moves from the more cinematic medium of the blockbuster film to the thoroughly computational medium of digital games. Furthermore, the player does not have to fulfill any special tasks to acquire this skill; she can use it right away. Nevertheless, the bullet time effect is a limited resource, only lasting for a few seconds and depleting with every activation. An hourglass-shaped meter (or, in case of the third installment of Max Payne, a vertical bar) in the bottom corner of the screen informs the player how much bullet time is left for use. In the first installment of the game series, bullet time replenishes only by killing enemies. This changes with the second installment, where bullet time is restored automatically, yet more slowly. And whenever a player in Max Payne 2 is able to take out several opponents at once within the limit of available bullet time, the meter turns yellow, and she can move even faster while the “objective” flow of time simultaneously gets slower. And the more intensely yellow the meter turns, the more intense the bullet time effect is. Unsurprisingly, Max Payne 3 offers the most sophisticated version of bullet time. Not only is it reloaded through the act of killing opponents, but also by injuring them. Furthermore, there is a special bullet time mode in this installment called “Last Man Standing.” If Max’s health is declining, but he still possesses painkillers (tablets that regenerate the health status of the character) as well as a loaded weapon, he automatically switches into the bullet time mode that allows him to locate the enemy and attempt to take him out. If the player succeeds in killing the attacker, Max recovers; if not, the player dies with Max. Apart from the dominance of its ludic function, Max Payne’s use of bullet time provides a significant visual spectacle, similar to that of the Matrix films. 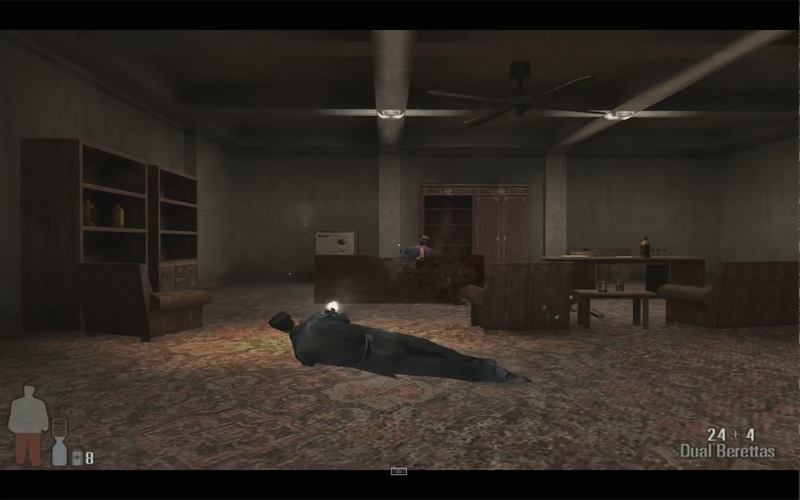 For example, already in the first installment of Max Payne, when Max kills the last member of an enemy group, the camera changes to a third-person perspective rotating around the fallen body. Another prominent feature that alludes to the aesthetics of the Matrix films is the camera following the path of a bullet (see Figure 9). Hence, in order to understand the specific temporality of bullet time in games, we have to take into account both a representational or narrative level as well as an operational or ludic level (the level of gameplay). This distinction between narrative and ludic levels—a distinction that was itself a site of intense debate in the early history of game studies as a discipline—plays a significant role especially in temporal terms, not least with respect to the specificity of digital games compared to other media (including cinema). It is here that the difference between cinematic and specifically post-cinematic time-images may be sought. For this reason, we have to return briefly to the so-called narratology-versus-ludology debate, one of the field’s formative discussions around the year 2000, in order to assess the radical difference between The Matrix’s still cinematic mediation of post-cinematic time, on the one hand, and Max Payne’s more direct operationalization of post-cinematic temporality on the other. On the one hand, narratologically oriented scholars like Janet Murray or Marie-Laure Ryan claimed that, through the introduction of interactivity, computer games (and digital platforms in general) considerably transformed the parameters of storytelling. At the same time, these scholars more or less implicity argued that storytelling remains one of the central functions of digital games. On the other hand, and against these narratologists’ claims, “ludologists” like Markku Eskelinen or Jesper Juul regarded the narrative dimension as marginal compared to the “core” of gameplay, which situated the player first and foremost in interaction with formal rules, not with the elements of a story. For Juul, the medial specificity of digital games expresses itself by the fact that it provides spaces for action, movement, and decision-making rather than presenting narratives in a linear way. According to Espen Aarseth, these spaces can also be addressed in terms of “ergodic phenomena” (32); derived from the Greek words ergon and hodos, work and path, the notion of ergodicity specifies digital games as articulating a type of discourse “whose signs emerge as a path produced by a non-trivial element of work” (32). This type of discourse is significantly different from other textual (or audio-visual) forms. The narrative “script” of a game is not just “given” for us to read or watch; instead, it is generated on the fly, in the moment of interaction between the game and the player. And, as Juul shows, this implies a profound paradox in terms of how we usually address the different temporal levels of non-interactive storytelling forms (i.e. in the categories of classical narratology). Due to their ergodic form, it is not possible to distinguish between the levels of story time (or histoire), plot time (the time of discours, or of narration itself), and reception time (the empirical time of media consumption). According to Juul’s early ludological position, the distinctiveness of these temporal levels collapses in and through the very act of gameplay; story time, plot time, and reception time coincide with one another in a way that is unprecedented in non-computational media (see Denson and Jahn-Sudmann). If we take the arguments of the radical ludologists seriously, that games and films are fundamentally different forms of media, it is questionable to what extent games can articulate time-images. Let’s recall that the time-image replaces the temporality of succession, the crucial temporal principle of the movement-image, with the principle of simultaneity. Now, if the digital game is always already bound to the principle of simultaneity, how, then, can the time-image stand out as a specific temporal form that puts into play a different relationship of movement and time by replacing the logic of succession with the logic of simultaneity? Yet, as we know from McLuhan, the “‘content’ of any medium is always another medium” (8). Of course, games are able to remediate (or simulate) the aesthetic forms of other media (like cinema, for example). And since we can analytically differentiate between the representational level of computer games and their operational level (including game-play and game-mechanics), this means that time-images are not rendered impossible by the fact that the ergodic form of digital games collapses the distinction of story time, plot time, and reception time, because time-images can simply be situated on the representational or interface level of games. But how does the dominance of bullet time’s ludic function over its visual function affect its very temporal characteristics? As to the affective dimension of the gamer’s experience, I would argue that this has consequences that are not altogether different from its cinematic version. The bullet time sequences in games are still time-images in the sense outlined above with regard to the Matrix films. The only major difference is that the bullet time sequences in the Matrix films are marked as outstanding moments, while in games like the Max Payne series, they are a frequent feature. In digital games, however, bullet time is furthermore specifically characterized by the way it “mediates” (in the Latourian sense) algorithmic time. It makes tangible, that is, exactly that level of digital microtemporality that a player does not and cannot perceive, especially when she is wrapped up affectively and responding quasi-automatically to the constant flow of challenges that the game presents. On the basis of our blindness to computational temporality (which operates at scales and velocities beneath or beyond the temporal frames of conscious human experience), bullet time sequences allow players to experience an otherwise unprecedented level of control over space via the manipulation of time, with the result that an algorithmically generated time paradoxically becomes a haptically experientiable duration. What is produced here in this process of transduction is not so much a substantial as a relational duration—a duration, that is, which marks the gap between the temporality of conscious experience and the imperceptible time of microtemporal computation processes taking place during each and every act of gameplay. And this haptic dimension marks, I contend, an important difference with respect to the way the bullet time effect functions in media such as film or television to point to “subliminal” zones of temporality (cf. Wentz). Stressing the haptic experience of bullet time does not mean to downplay the overall tactile dimension of digitality, tactility understood here in the McLuhanian sense as the “interplay of senses” (see Heilmann). On the contrary, we might argue that the haptic engagement with bullet time sensitizes us to an understanding of digitality as a historically specific modality and technical implementation of tactility (Heilmann). Moreover, since the bullet time effect can be repeatedly but only intermittently reactivated under certain predefined conditions—which implies not simply the effect’s repetition but its variation in a range of different forms (recall the variations of bullet time described above)—the phenomenological implications outlined above are aggregated over time: the perception of an in-principle invisible time of algorithmic computation, as mediated by digital games employing the bullet time effect, is intensified through repeated exposure, over the course of which such experience is given the quality of an experimental configuration, a setting that lets us ludically test the temporal modalities of a new form of “anthropotechnical interface” (see Denson). Furthermore, in games bullet time is not only organized serially in terms of being continually repeatable. In addition, the modularized deployment of bullet time results in the effect’s partial autonomy. That is to say, bullet time emerges as part of a broader series of related processes when it is activated beyond immediate gameplay challenges, independent from the functional (or diegetic) motivational structure of the effect within the game. Players can test the bullet time ability precisely in those sequences or spaces of a game where they do not face enemies, for example in the safe area of an empty corridor or in an empty room, in order to learn how to make more effective use of it or simply to understand the skill in the first place. But this is by far not the only consequence. They are also testing the spatio-temporal dimensions of their interfacing with the computer. In these moments of bullet time, the players become aware of and explore a specifically digital temporality. To play with bullet time is also an act of observing it. It is exactly with regard to such events of “gratuitous” experimentation that the aesthetic alterations between various deployments of bullet time—in games and over the course of ongoing game series, as well as in various media and transmedial assemblages—becomes most obvious and open to critical study. 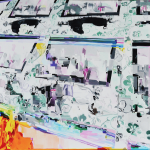 Here, we witness digital media works probing the aesthetic limits and courses of the effect’s transition to a computational environment. Bullet time is a specific and paradoxical encounter between the invisible, algorithmic time of computation on the operational level and a culturally “sedimented” temporality on the representational level (inherited from pre-digital media such as cinema). As such, it is also an encounter of different speeds, the very fast and the relatively slow. It is this specific conjunction of temporalities that most of all contributes to the relative autonomy of bullet time, i.e. its autonomy from narrative and even discursive orders, both in terms of its operational and its cultural logic. Bullet time, as a post-cinematic time-image, makes visible the time of the interval, the temporal “zone” between action and reaction (or perception). It expands and furnishes this interval with a specific duration and movement. Therefore it is not the time of post-cinematic (or computational) affect that is displayed (because it simply can’t be displayed), but an image of this affective temporality. Still, it precisely addresses the very temporality that it substitutes. Simultaneously, it establishes a new time (or duration) of affect, yet on a different level—namely, between game and player. As I have already pointed out, there is ultimately no fundamental difference—no ontological divide—between games and films in this respect. Yet games are characterized by a different temporal logic that comes into play here: ergodic time. Due to their ergodic form, the temporal differences of story time, discursive (or narrative) time, and consumption (reception) time, as we know them from classical narratology, are extinguished in the interactive conjunction between game and player (see Juul; Denson and Jahn-Sudmann). As a consequence, the time of the interval becomes a haptic experience of duration, which also points to the overall tactile dimension of affection, in the McLuhanian sense. Finally, and this again applies both to its instantiations in film and games, what the autonomy of the bullet-time effect exposes is nothing less than the “autonomy of the affect” (Massumi) itself. Aarseth, Espen. “Aporia and Epiphany in Doom and The Speaking Clock: The Temporality of Ergodic Art.” Cyberspace Textuality: Computer Technology and Literary Theory. Ed. Marie-Laure Ryan. Bloomington: Indiana UP, 1999. 31-41. Print. A Better Tomorrow. Dir. John Woo. Cinema City and Films, 1986. Film. Bordwell, David, Janet Staiger, and Kristin Thompson. The Classical Hollywood Cinema: Film Style and Mode of Production to 1960. New York: Columbia UP, 1985. Print. The Campanile Movie. Dir. Paul Debevec. U California Berkeley, 1997. Short film. Consalvo, Mia. Cheating: Gaining Advantage in Videogames. Cambridge: MIT P, 2007. Print. Constandinides, Costas. From Film Adaptation to Post-Celluloid Adaptation: Rethinking the Transition of Popular Fiction and Characters across Old and New Media. New York: Continuum Books, 2010. Print. Deleuze, Gilles. Cinema 1: The Movement-Image. 1983. Trans. Hugh Tomlinson and Barbara Habberjam. Minneapolis: U of Minnesota P, 1986. Print. —. Cinema 2: The Time-Image. 1985. Trans. Hugh Tomlinson and Robert Galeta. Minneapolis: U of Minnesota P, 1989. Print. —. Difference and Repetition. Trans. Paul Patto., London: Athlone, 1994. Print. Denson, Shane. Postnaturalism: Frankenstein, Film, and the Anthropotechnical Interface. Bielefeld: Transcript, 2014. Print. —, and Andreas Jahn-Sudmann. “Digital Seriality: On the Serial Aesthetics and Practices of Digital Games.” Eludamos: Journal for Computer Game Culture 7.1 (2013). Web. <http://www.eludamos.org/index.php/eludamos/article/view/vol7no1-1/7-1-1-html>. Eskelinen, Markku. “Towards Computer Game Studies.” Harrigan and Wardrip-Fruin 36-44. Fahle, Oliver. “Im Diesseits der Narration. Zur Ästhetik der Fernsehserie.” Kelleter 169-181. Forrest Gump. Dir. Robert Zemeckis. Paramount Pictures, 1994. Film. Hansen, Mark B.N. “New Media.” Critical Terms for Media Studies. Eds. W.J.T. Mitchell and Mark B.N. Hansen. Chicago: U of Chicago P, 2010. 172-85. Print. Hard Boiled. Dir. John Woo. Golden Princess Film Production, 1992. Film. Harrigan, Pat, and Noah Wardrip-Fruin, eds. First Person: New Media as Story, Performance, and Game. Cambridge: MIT P, 2004. Print. Hawk, Byron. A Counter-History of Composition: Toward Methodologies of Complexity. Pittsburgh: UP of Pittsburgh, 2007. Print. Heilmann, Till. “Digitalität als Taktilität. McLuhan, der Computer und die Taste.” Zeitschrift für Medienwissenschaft 2 (2010): 125-34. Print. Juul, Jesper. “Games Telling Stories? A Brief Note on Games and Narratives.” Game Studies 1.1 (2001). Web. <http://www.gamestudies.org/0101/juul-gts/>. Kelleter, Frank, ed. Populäre Serialität. Narration – Evolution – Distinktion. Zum seriellen Erzählen seit dem 19. Jahrhundert. Bielefeld: Transcript, 2012. Print. The Matrix. Dir. Andy and Larry Wachowski. Warner Bros., 1999. Film. Matrix Reloaded, The. Dir. Andy and Lana Wachowski. Warner Bros. / Roadshow Entertainment, 2003. Film. Matrix Revolutions, The. Dir. Andy and Lana Wachowski. Warner Bros. / Roadshow Entertainment, 2003. Film. Max Payne. Remedy Entertainment. Gathering of Developers. 2001. Video Game. Max Payne 2: The Fall of Max Payne. Remedy Entertainment/ Rockstar Vienna. Rockstar Games, 2003. Video Game. Max Payne 3. R* London et al. Rockstar Games, 2012. Video Game. McLuhan, Marshall. Understanding Media.The Extensions of Man. New York: McGraw-Hill, 1964. Print. Meinrenken, Jens. “Bullet Time & Co. Steuerungsutopien von Computerspielen und Filmen als raumzeitliche Fiktion.” Spielformen im Spielfilm. Zur Medienmorphologie des Kinos nach der Postmoderne. Eds. Rainer Leschke and Jochen Venus. Bielefeld: Transcript, 2007. 239-70. Print. Murray, Janet. “From Game-Story to Cyberdrama.” Harrigan and Wardrip-Fruin 2-10. Pias, Claus. “Das digitale Bild gibt es nicht. Über das (Nicht-)Wissen der Bilder und die informatische Illusion.” zeitenblicke 2.1 (2003). Web. <http://www.zeitenblicke.de/2003/01/pias/>. Pisters, Patricia. “Flashforward: The Future is Now.” Deleuze Studies 5 (2011): 98-115. Print. Reprinted in this volume. Ryan, Marie-Laurie. Avatars of Story. Minneapolis: U of Minnesota P, 2006. Print. Shaviro, Steve. Post-Cinematic Affect. Winchester: Zero, 2010. Print. Introduction reprinted in this volume. Silberman, Steve. “Matrix 2. Bullet Time was Just the Beginning.” Wired 11.05 (2013). Web. <http://www.wired.com/wired/archive/11.05/matrix2.html>. Sudmann, Andreas. Dogma 95. Die Abkehr vom Zwang des Möglichen. Hannover: Offizin, 2001. Print. Terminator 2: Judgment Day. Dir. James Cameron. TriStar, 1991. Film. Tofts, Darren. “Truth at Twelve Thousand Frames per Second: ‘The Matrix’ and Time-Image Cinema.” 24/7: Time and Temporality in the Network Society. Eds. Robert Hassan and Ronald E. Purser. Stanford: Stanford UP, 2007. 109-121. Wentz, Daniela. “Bilderfolgen, Diagrammatologie der Fernsehserie.” Diss. Weimar University, 2013. Print. Wild Bunch, The. Dir. Sam Peckinpah. Warner Bros.-Seven Arts, 1969. Film. This chapter expands upon considerations developed for the essay “Digital Seriality: On the Serial Aesthetics and Practice of Digital Games,” co-authored with Shane Denson. For a substantial list of further games that have implemented bullet time, see <http://www.gamesradar.com/a-videogame-history-of-bullet-time/>. As part of this cultural hype, many academic and non-academic works have been published on The Matrix in general and on bullet time in particular (see Constandinides; Denson and Jahn-Sudmann; Glasenapp; Hawk; Meinrenken; Sudmann; Tofts). Although some of these works (see, for example, Hawk) discuss temporal implications of the bullet time, they do not address the effect as a specific post-cinematic temporality. For instance, the following video, as one of many examples, shows how to produce the bullet time effect with a GoPro camera and a ceiling fan: <http://www.youtube.com/watch?v=wTQjIZR6xHA&feature=youtu.be>. In a recent discussion of contemporary television series, Oliver Fahle has shown how images, motifs, etc. can be conceived of as serial entities that are autonomous from their narrative and diegetic function and integration. A “cutscene” (sometimes called an event scene) designates a sequence that is situated between the ludic or playable parts (levels, worlds) of a game. In these scenes the player has little or no control over the screen events. So called “cheats” or “cheat codes” are typically used to make a game easier (beyond standard gameplay). For example, cheat codes can be activated to reduce the general game speed or just the speed of the player’s opponents. Cheating has a long-lasting history in digital game culture, dating back at least to the early 1980s (see Consalvo). According to Latour, “a mediator . . . is an original event and creates what it translates as well as the entities between which it plays the mediating role” (81). Not surprisingly, we find countless examples exposing the “serial autonomy” of the effect on social network platforms like YouTube, where users upload “Let’s Play” videos as well as “Best of Bullet Time” compilations, thus providing individual experiences of serialized temporal-technical mediation that can be commented upon, compared, or used for the purpose of community-building. 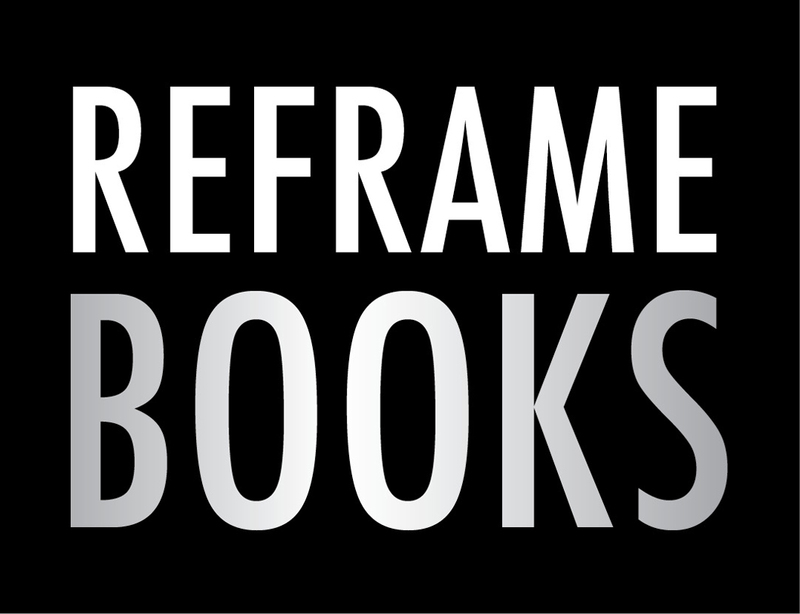 For discussions of community-building as a serialized practice, see the contributions to Kelleter.